This next car really tugs at my heartstrings...because no matter how terrible a vintage Saab might be on paper with regards to acceleration, handling, reliability, parts availability...etc...it is still a sweet car, I do miss the ole Draken DT project car. And those soccer ball alloys...hrrrnnngggg...me gusta mucho!! And with Bosch fogs? Welp...I wonder if the wife will forgive a second Saab "sight unseen" purchase? The couch is comfortable anyway. 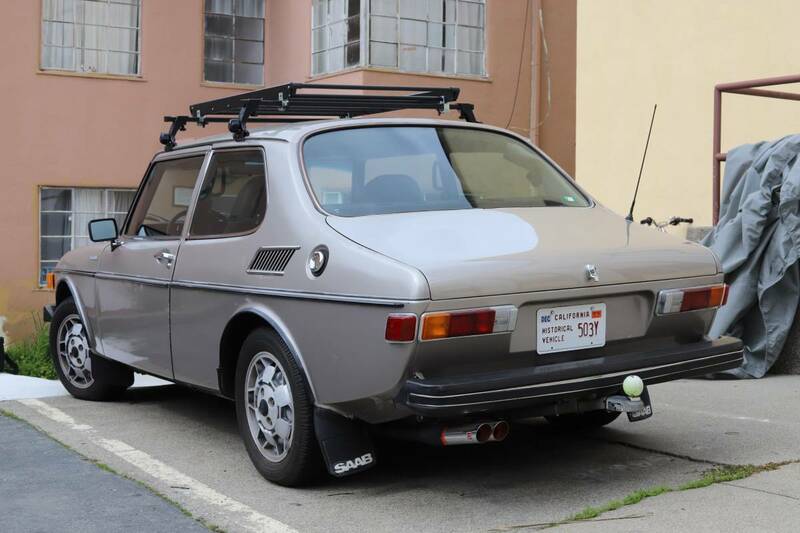 Find this 1975 Saab 99 EMS offered for $6,400 in Berkeley, CA via craigslist. Tip from Safety Fast. 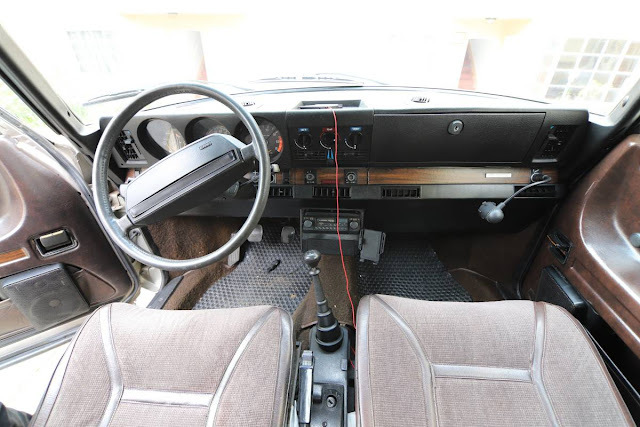 Very clean 1975 Saab 99 EMS for sale. Body is in excellent condition for its age, with a few minor scratches and a little patina on original paint. No rust or dents anywhere. This was the special rally edition of the Saab 99, with unique golf ball style wheels, upgraded suspension, and tuned engine. 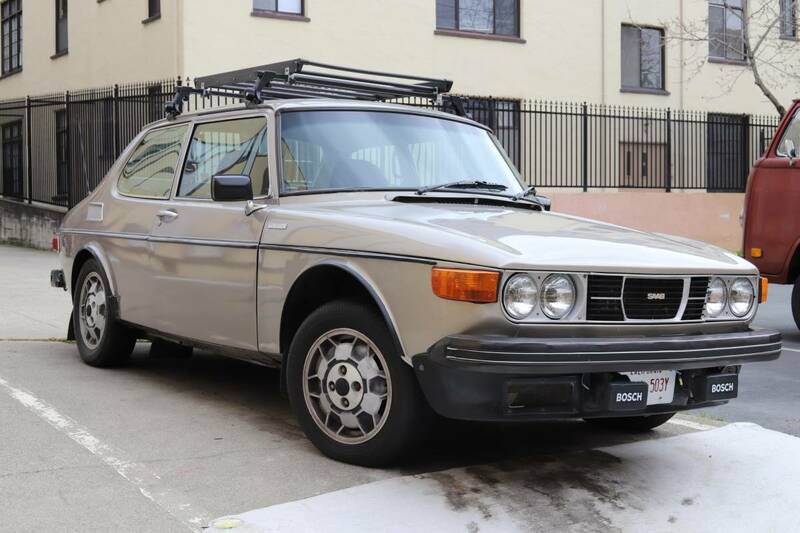 It's mostly original, but has a tape deck from a newer Saab (possibly a 900), and also has a 5 speed transmission from a 900. Has Bosch foglights (may be from the factory? not sure) and a factory Thule roof rack with basket. Also has an aftermarket muffler (but it's pre-smog!) It runs and drives really well - the only issues are that the radio/tape deck sometimes cuts in and out, the A/C is a little weak, and the odometer doesn't work. Holds a salvage title - previous owner said it was from flood damage a long time ago. I can't find any evidence of water damage, and the owner before him (who had the car for 35 years) owned Marin Saab and Volvo, so I'm assuming all the damage was repaired. It definitely looks well taken care of. I got this car in a trade, and even though it's cool and fun to drive, I just never really drive it, so it's time to let it go to a fellow Saab or classic car enthusiast. Open to trades for other cool or unique cars. Remarkable condition! I guess a salvage title does not really matter at that age, but is that "all the money" for one of these? In California a 'Salvage Title' can be the kiss of death......at least in terms of moving the car on to the next seller. Unless of course you're an enthusiast and don't care or have some other reason to buy it. A shame really as this one looks to be quite nice. But as we all know, the devil is in the details. Flood damage? In California? AS Bobinott said seems to be a big ask.....be interesting to see. Oh who was the gray bearded, corduroy patch jacket, UC Berkley professor that owned this?